A couple of months ago, someone in our community came into the clinic carrying a box that was found. Surprisingly, the box contained a family of cats! 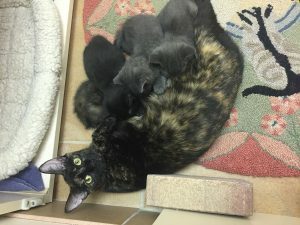 The mother and father, along with their four newborn kittens, were anxious for attention and food. The parents appeared to be approximately a year old and the babies so small that their eyes were not even open yet. They were fortunate to be found quickly and by the right person. We immediately had our vets examine each of them and they were all found to be healthy. Mom and Dad, also known as Dot and Dash, are extremely friendly and very much in love. They take turns caring for and checking on the babies. The kittens include 3 girls and 1 boy and will be ready for their first set of vaccines in a couple of weeks. Take a look at the profiles below to learn more about each member of the family, if you are interested in adopting, please click the link to fill out a form. Keep in mind that while applications can be submitted at this time, they ill not be reviewed until after he kittens are vaccinated. Applications will be processed, and qualifying applicants will be contacted. Applicant are matched with cats depending on the best fit for the individual cat. Dot and Dash are affectionately known as Mama and Papa. They are both extremely friendly and crave attention all the time. They are still young, and love to play and race around when they are caring for their growing babies. Because these two are so bonded we are adopting them out as a pair. We have no history regarding their life prior to coming to the clinic, however, both were found to be healthy by our veterinarian and have received their first set of vaccination. 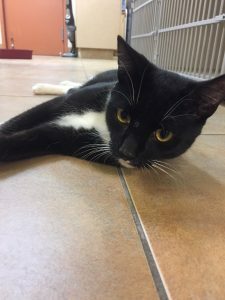 Dash is a one-year-old male, black & white domestic shorthair. 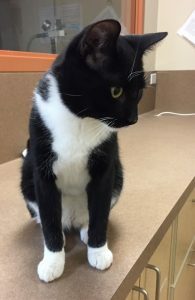 He has been neutered and experienced no complications during the procedure. 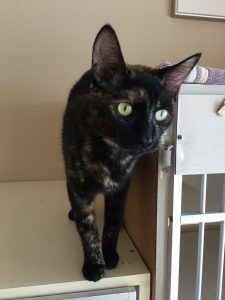 Dot is a one-year-old female, tortoiseshell domestic shorthair. She has not yet been spayed as she is still feeding the babies as they transition to kitten food. 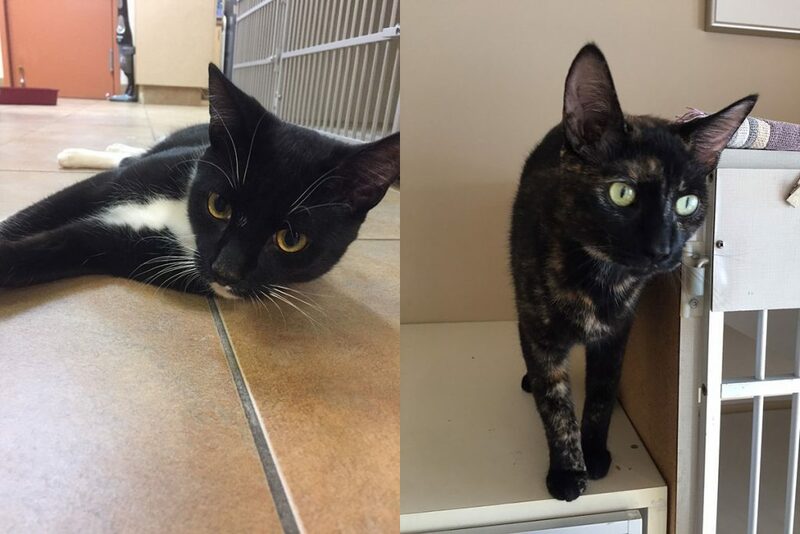 If you are interested in meeting Dot and Dash, please stop by the clinic. Those interested in adoption can fill out an application in person on online.